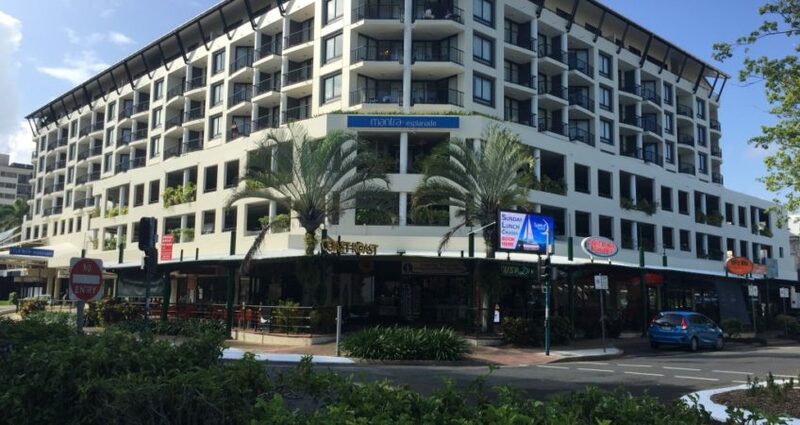 Eclat is proud to have been selected to Repaint the Mantra Esplanade.The owners chose to brighten the building up using the same wall colour and highlighting the Window surrounds. 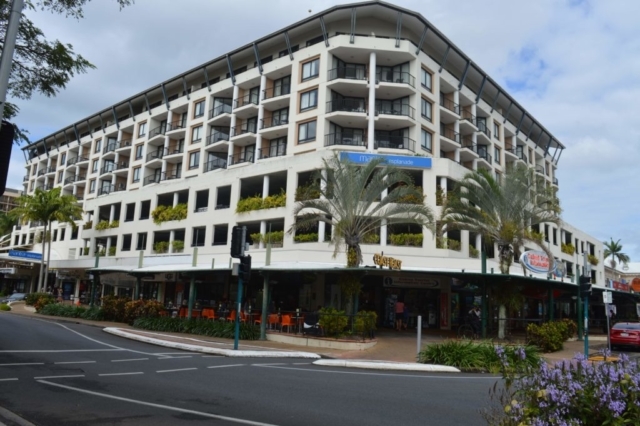 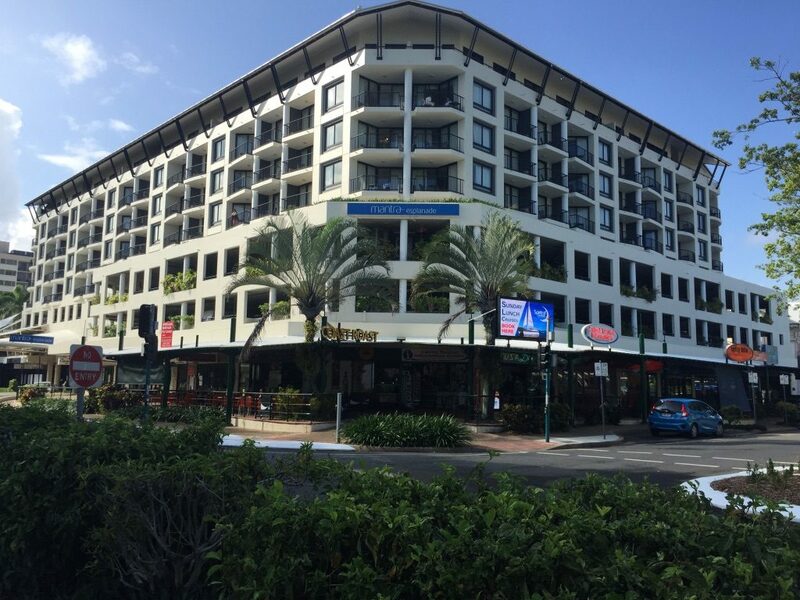 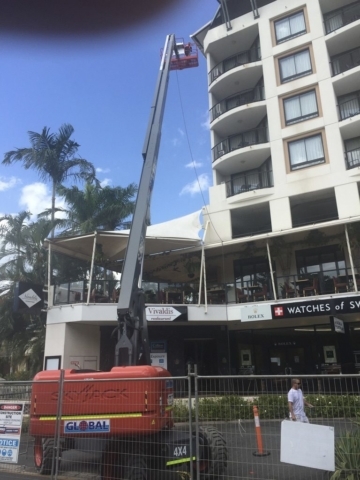 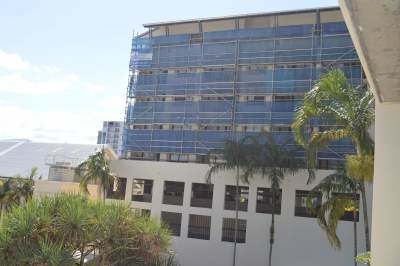 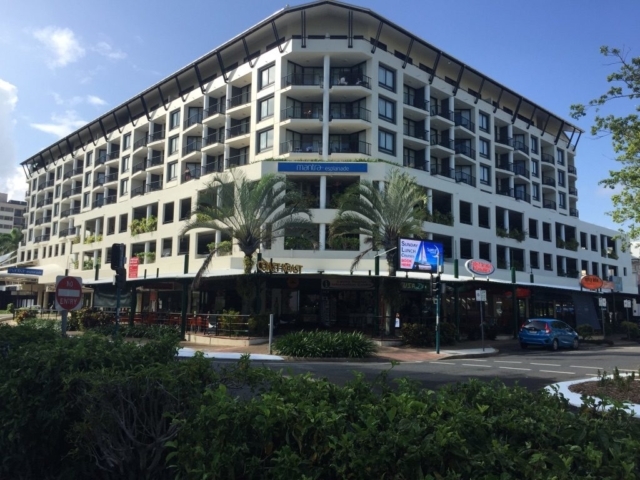 Repainting an iconic building such as Mantra Esplanade (Calypso Plaza) requires the specialist skills and planning on a company such as Eclat Building Solutions can provide. 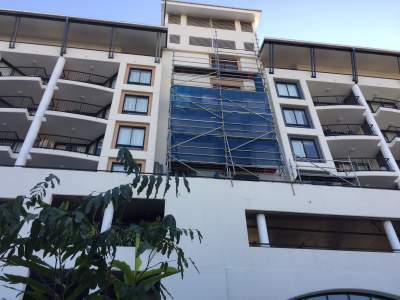 As the photos show the planning and execution for scaffold and specialist machinery is a skill in itself. 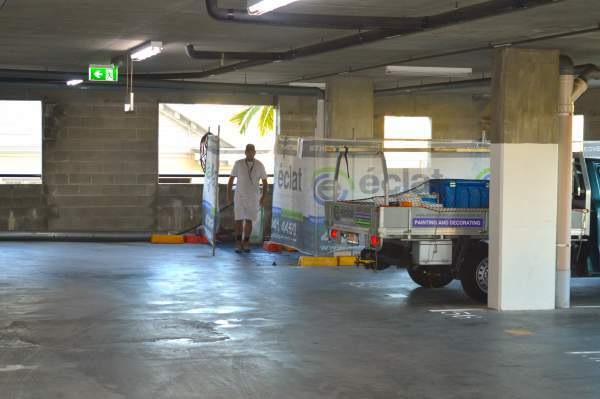 The correct planning ensures that the equipment is in place for the shortest possible time frame, minimising guest intrusion. 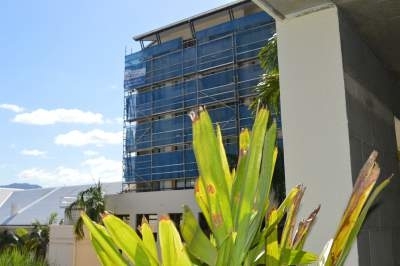 The Body Corporate for Calypso Plaza has also taken advantage of an Eclat Building Solutions 7 year Maintenance Plan. This ensures that this building will look at its best for many years to come. Our Maintenance plans not only ensure the overall integrity of the Coatings on the building but also give the opportunity for Eclat Building Solutions to continually consult with the Building Owners on the ongoing general upkeep and Maintenance on this building. 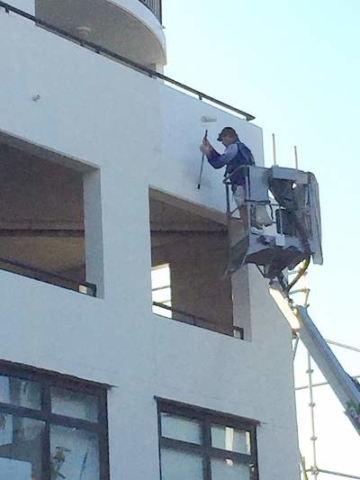 Identifying potential problems before they become a major issue. 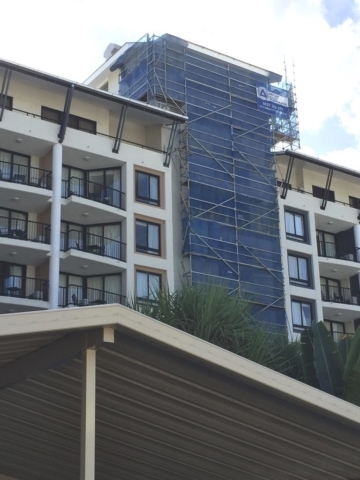 Being a QBCC Licensed Builder in our right means that Eclat Building Solution can offer advantages over and above just Coating Maintenance. This can save your building and Body Corporate many thousands of dollars by detecting issues while they can be rectified before they become a major cost. 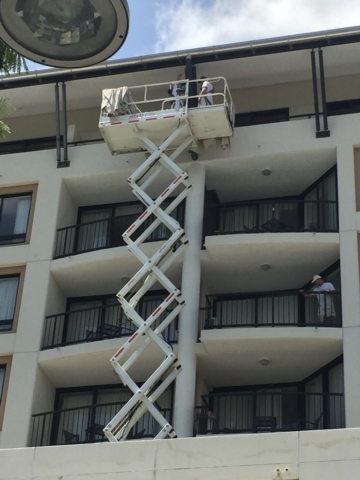 Call Eclat Building Solutions today to ask about our Flexible Maintenance Programs and how they may work to help you protect your asset and potentially save you thousands of dollars.